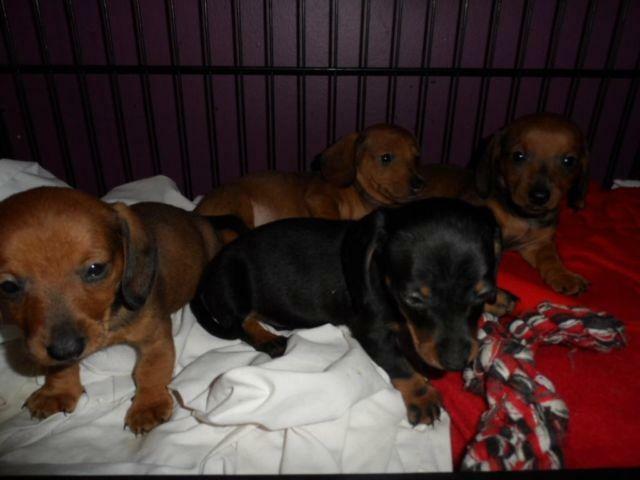 CKC REG MINI DACHSHUND PUPPIES JUST IN TIME FOR VALENTINES DAY!!!! 10 weeks old. Had shots, wormer. Vet checked. Own CKC parents. Ready to go. Smoke Free home. Last of 7 puppies.